Every year we do a little fundraising for the Royal British Legion via the Bude Branch during their poppy appeal. Here at The Kitchen Front, we create a 1940s’ style canteen in our atmospheric Grade II listed building. The bunting will be up, swing music will be playing and tables are laid with proper table cloths and vintage fine china. 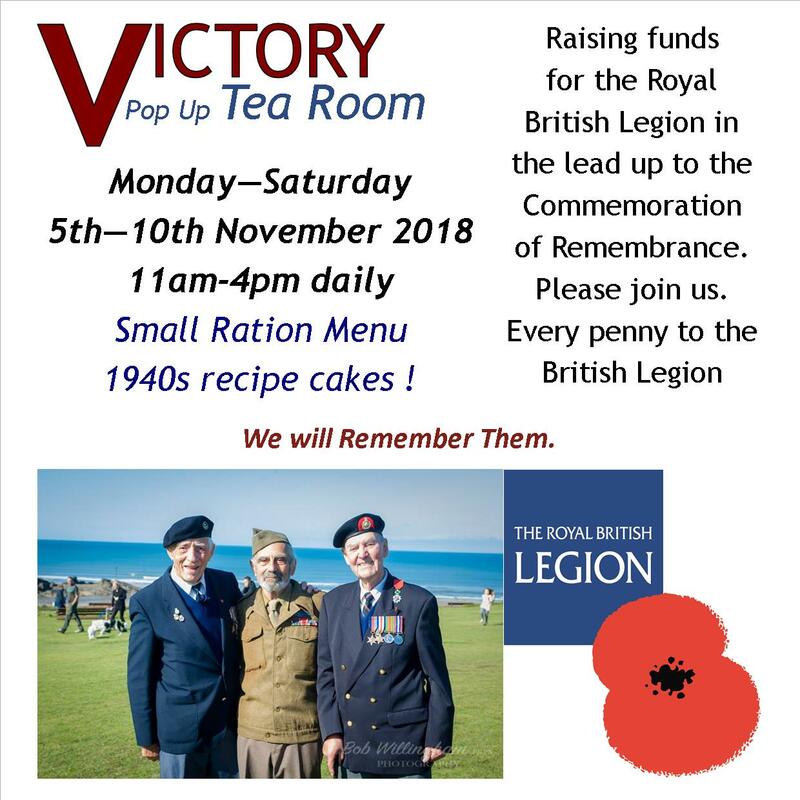 We will have a very small menu (Rations of course), with cakes made from original 1940s recipes. We only have 4 tables available every day from 11-4pm. Prices start at £5pp for a pot of tea and generous slice of home made cake. Every penny goes straight to the British Legion. We hope that you will join us.